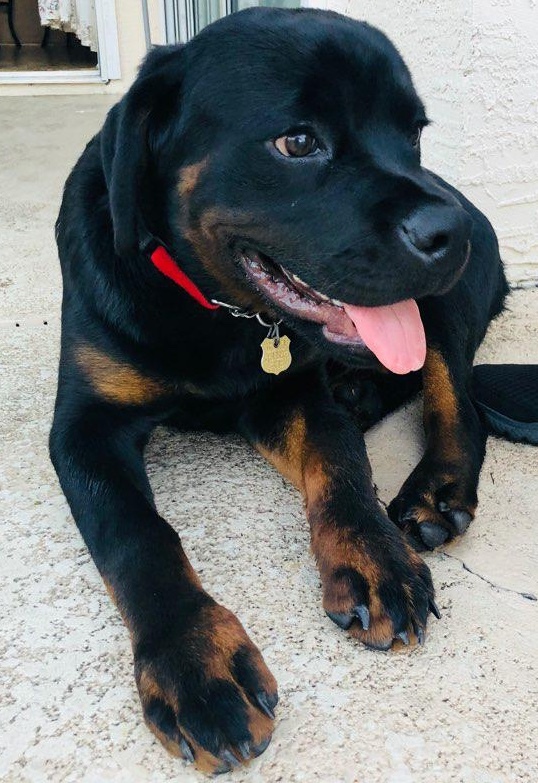 Kong is a sweet 7 month old neutered rottie puppy. When his daddy passed away, his mom had to work more hours and knew this was not fair to him. She loved him too much to have to see him in a crate for long hours all the time, so she made the heart breaking decision to have a family who could spend more time with this sweet boy adopt him. Only a good momma who truly loves her baby puts his needs first. BRUNO is NOT ready for adoption. Please, fill out an online adoption application and be approved to adopt him.